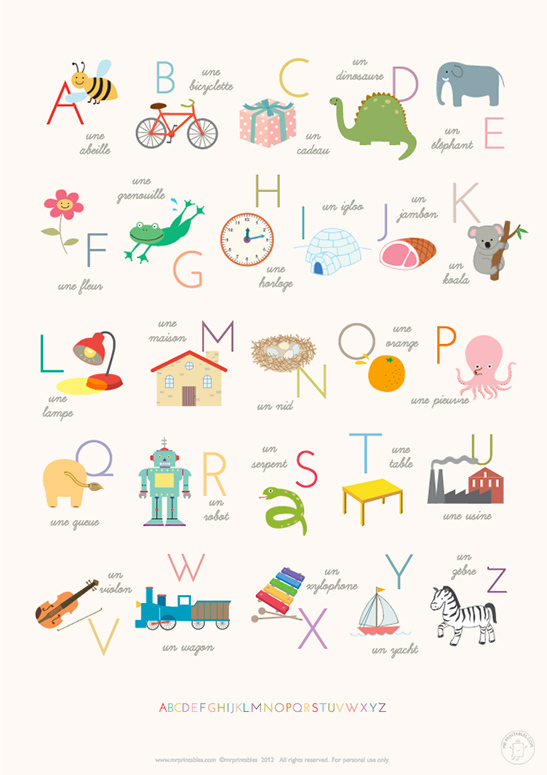 A sweet alphabet poster is a popular choice to decorate kids rooms and classrooms. 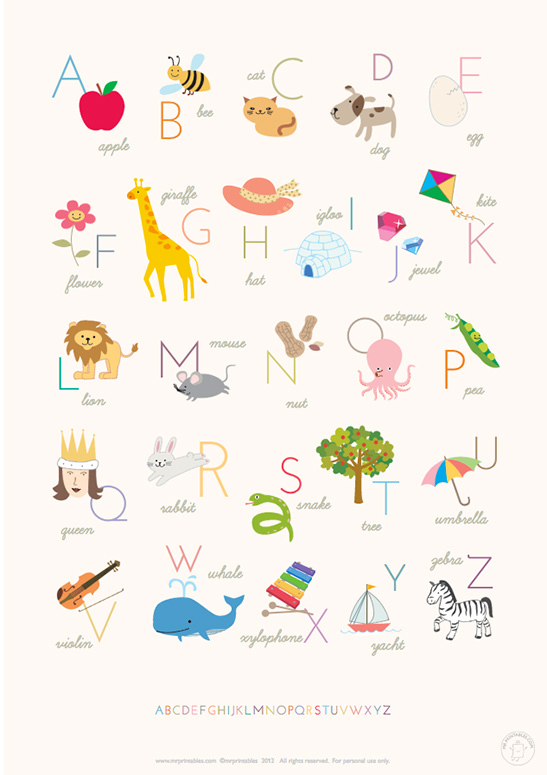 It makes great wall deco and creates a fun learning zone at the same time, so if you have an empty wall - start browsing our selection! 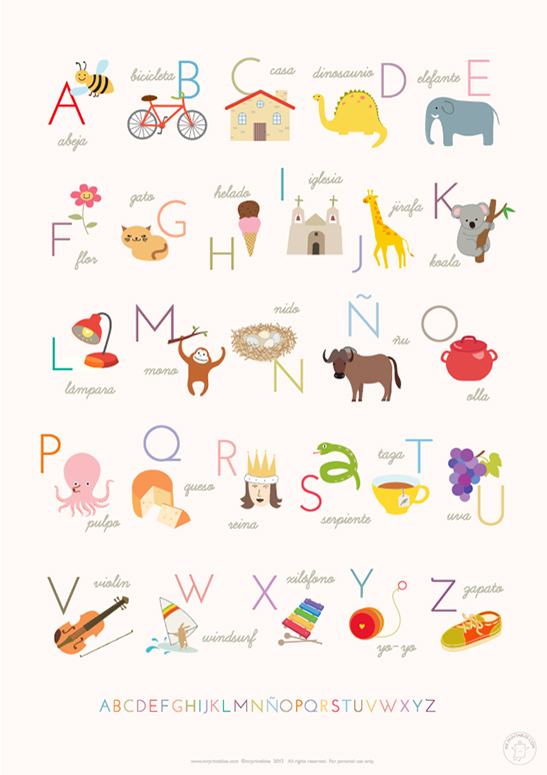 We have lovely free printable posters for you in different original designs, languages and sizes. 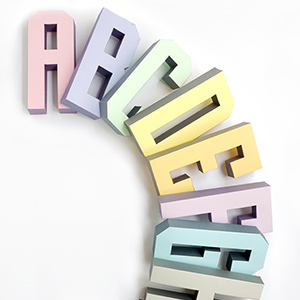 Small A4/Letter sizes are good for a quick and easy decoration for a small corner. Larger size posters made from 2 pages are also available.